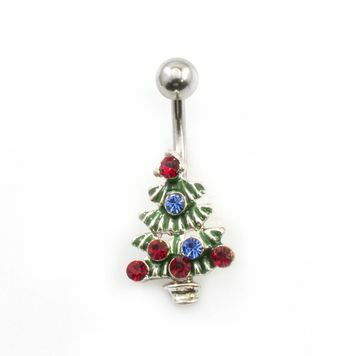 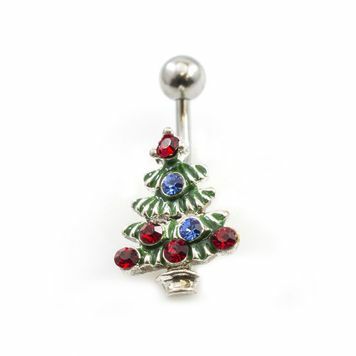 This is a beautiful Christmas Tree belly button ring with red and blue cz gems that sparkle. The shaft is made from 316L high grade surgical steel and it measures 14 gauge and the length is 10mm - 3/8 of an inch. 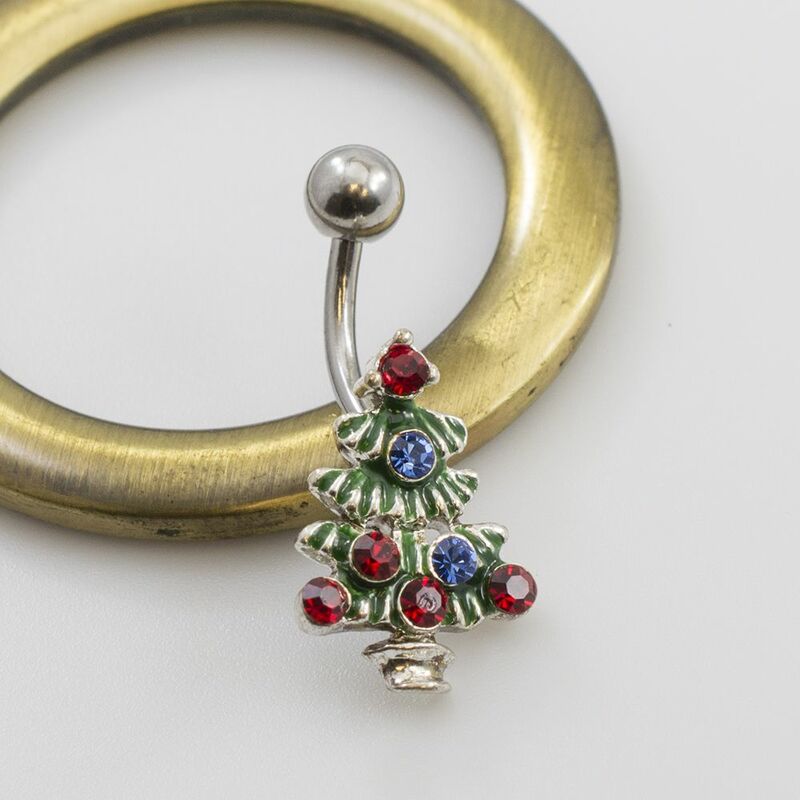 The externally threaded top bead size is 5mm. Entire piece is nickel free.